Jack E. Budnick is Plant Manager at AbsolutAire. In this role, he is responsible for all aspects of the company’s purchasing requirements, including supplier-cost analysis, commodity and component sourcing, volume-pricing negotiations, and delivery-inventory scheduling. In addition, Jack lends support and expertise in other areas, including product management, liaison to MRP developers, engineering, and information technologies such as the interactive website. Jack recently attended Western Michigan University in Kalamazoo where he studied Computer Science, Theory, and Analysis. Prior to joining AbsolutAire, Jack attended Michigan State University in East Lansing, Michigan, where he undertook a pre-med curriculum. Gary Ellis is the Plant Foreman for AbsolutAire. In this role, he is responsible for manufacturing planning and operations management for the company’s full range of product offerings. This includes overseeing and directing all production, including fabrication, assembly, piping, electrical, and painting. 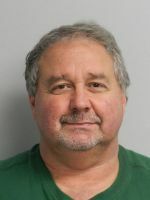 Gary was named Plant Foreman at AbsolutAire in 2018, following more than eighteen years of experience with the company in various production and supervisory roles. Prior to joining the company, he worked at a number of Grand Rapids-area metal fabrication and welding shops, including Benteler Automotive and the Environmental Technical Group. Gary graduated from Comstock High School in Comstock, MI, a suburb of Kalamazoo. He transferred here from Obion County High School in Union City, TN in order to be closer to family. His educational interests included shop technologies, welding, art, and photography. Recently married to his wife, Kelly, in the fall of 2018, Gary’s recreational interests include fishing, hunting, riding motorcycles, and just relaxing at home with the family dog. The couple resides in Plainwell, MI. Glenn Antisdel is the V-Series Production Manager in the AbsolutAire plant. His responsibilities include managing the V-Series construction and assembly team, working directly with the Production Manager to ensure that all units are built accurately and shipped in a timely manner. Also he works closely with the Engineering Department, offering suggestions for continuous improvement of the V-Series product line. Glenn began his AbsolutAire career in June 2005 in the AA-Series assembly department, after which he transitioned into a V-Series assembler. In 2017, he was promoted to V-Series Production Manager. 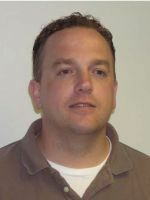 Glenn received a degree in AutoCAD from ITT Technical Institute in 2008. He also received his AWS welding certificate in 1998. Ken works as the Assembly Training Manager at AbsolutAire. In this role, Ken is responsible for training and mentoring new production employees, overseeing trainee performance, and ensuring that AbsolutAire Quality Standards are adhered to. Ken began his career with AbsolutAire in November of 1992 as an Assembler. He then moved into Fabrication, operating the plasma and laser tables, followed by a position in Receiving before finally assuming his current role in 2016. 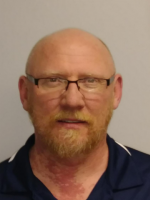 Ken graduated from Portage Central High School in 1980 and joined the United States Military following graduation, serving four years in the Navy as a Welder. After an honorable discharge, Ken joined the Carpenters Union prior to joining AbsolutAire. He has two children and six grandchildren.